Perfect-Graded 2016 France 100 Euro Silver Rooster! This French Rooster was struck at the world renowned Paris Mint in 2016. 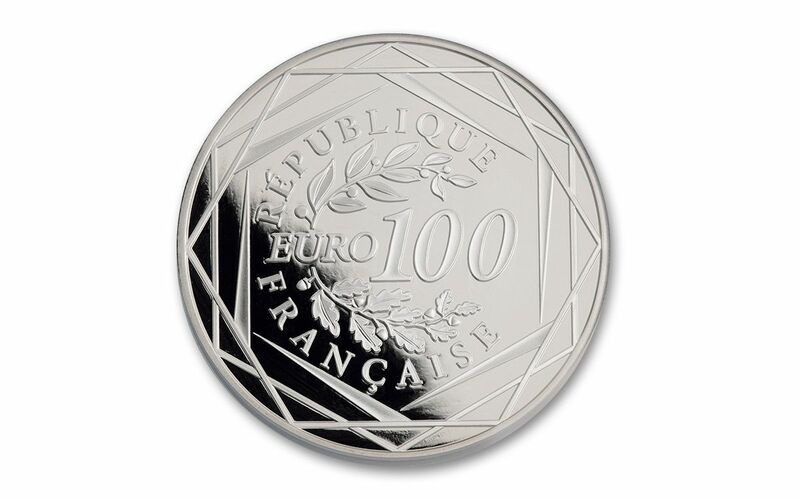 It has a high face value of 100 Euros and is minted in 50 grams of 90% silver. This example grades perfect Mint State-70 (MS70) and is a mint certified first strike. The total mintage for the silver is 15,000, but only 250 coins have received the coveted first strike designation from the mint. Just 1.66% of the total mintage has achieved this certification by NGC. Each NGC label will note that the coin is "One of First 250 Struck." In 2008, Paris Mint began a series honoring numismatic coins by creating modern versions of past historic coins. 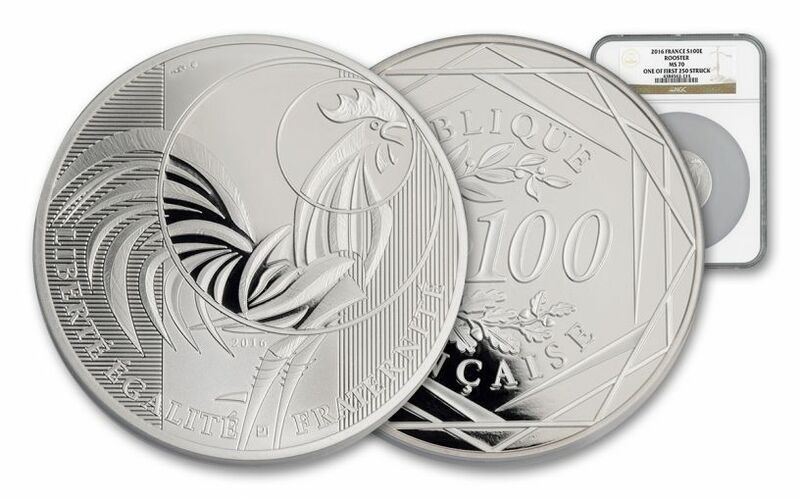 In 2014 the mint began a three-year three-coin series featuring the iconic Gallic rooster. 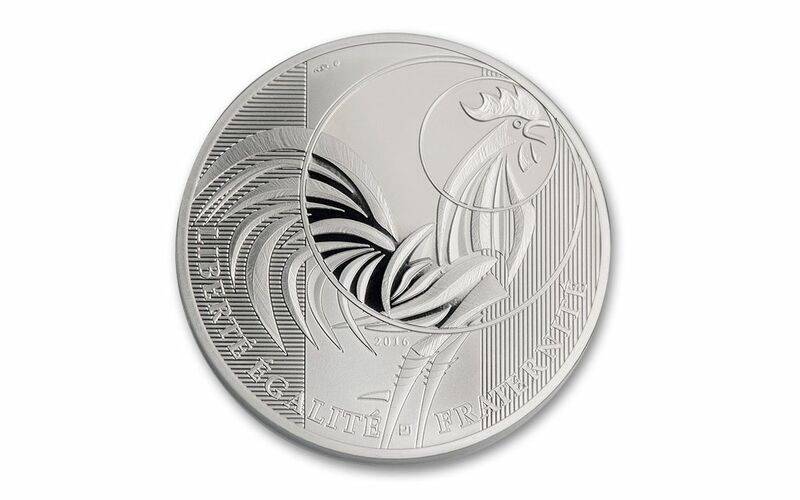 This 2016 Rooster is the final coin in the series. The obverse displays a rooster bust with a comb and feathers in a modern style. The coin shows the full body of the rooster standing proud and confident. It carries the French motto "Liberté, Egalité, Fraternité" (Liberty, Equality, Fraternity). In the background, the French flag is depicted: horizontal lines represent blue, no stripes represent white and vertical stripes represent red. The reverse shows the face value surrounded by two branches (oak & laurel) that evoke the Euro symbol. The entire reverse motif is framed in a hexagonal design representing the shape of France. As one of the mint's premier distributors, GovMint.com has the entire First Strike mintage -- you can't get these shimmering perfect coins anywhere else! 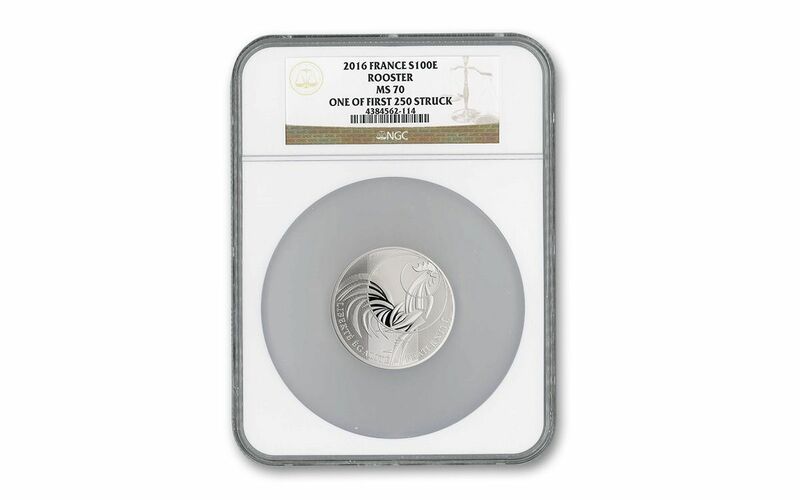 Only 147 received a perfect Mint State-70 (MS70) certification, making this 2016 Silver Rooster a very significant addition to your collection. Act fast before they sell out!